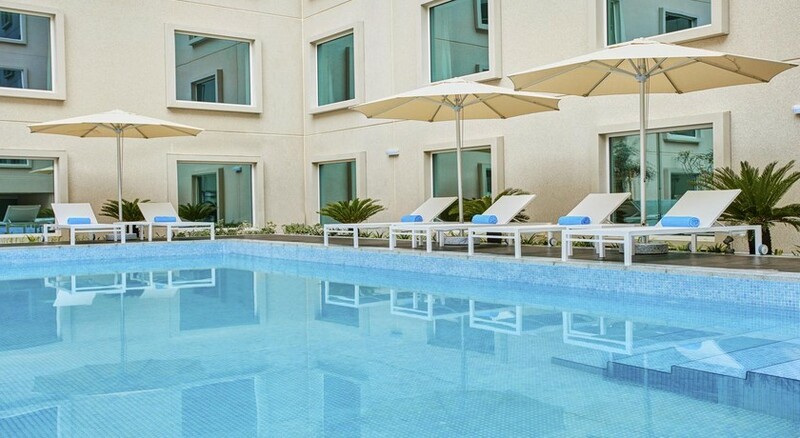 Featuring an outdoor pool, Hilton Garden Inn Dubai Mall of the Emirates, is only 800m away from one of the largest malls in the world – Mall of the Emirates. Very strategically located, the property is 10.4km from The Walk at JBR and 16.7km from Dubai Opera. The property offers a 24-hour front desk and lovely eateries to indulge in a large range of cuisine. Free Wi-Fi is available to all the guests, whereas some guestrooms come with a DVD player. Boasting contemporary architecture and interiors, the rooms promise a comfortable stay with a hint of warm Middle Eastern hospitality to guests at this 5-star hotel. Hilton Garden Inn Dubai Mall of the Emirates is situated in a very convenient location of the city that allows quick access to Sheikh Zayed Road and Metro Station; thereby providing fantastic connectivity to any major business districts and leisure attractions, in addition to beaches, skydiving, golf courses and so on. Downtown Dubai and the picturesque Burj Khalifa are just a 15-minute drive away. Each contemporary guestroom at Hilton Garden hostel port Mall of the Emirates has a 47-inch HDTV with premium channels, coffeemaker, DVD player, fridge and laptop-sized safe. Browse or check email with complimentary Wi-Fi and print remotely at the desk and chair. Suites have two 47-inch HDTVs and a separate living space with lounge sleeper - best for extended stays. 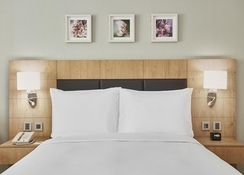 Disabled accessible rooms and family-friendly connecting rooms are also available on asking. 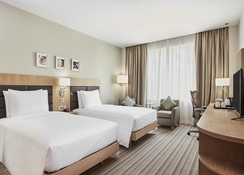 Guests at Hilton Garden Inn Dubai Mall of the Emirates can have breakfast at The Garden Grille, or grab pastries and snacks from The Garden restaurant. They can sip cocktails within the Garden Bar, and order room service round the clock. The 24-hour Pavilion Pantry™ has ready-to-cook meals, drinks, souvenirs and travel accessories. 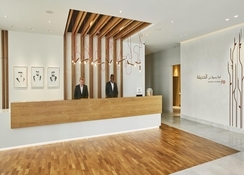 Guests can work out within the complimentary 24-hour fitness centre at Hilton Garden Dubai Mall of the Emirates, and fancy a facial or pedicure at the relaxing spa. With four meeting rooms, a banquet hall and a 24-hour business centre, this new hotel is an ideal venue for events. They may enjoy the temperature-controlled out of doors pool or let the little ones dabble in their own kids’ pool. The neighbourhood has many dining, shopping and entertainment options.